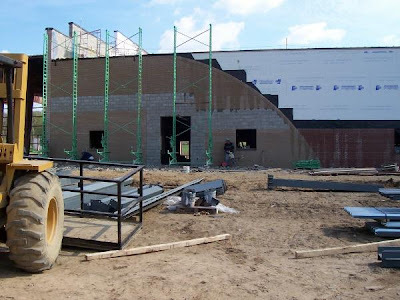 We are so looking forward to the completion of Whitewater Crossing Christian Churches new building, this Fall. The new location for the church is on StRt 128 between Miamitown and Cleves. I have listed two links, to the right, that will take you to the old and the new websites. yes I had seen this awesome. Its going to be very nice. The kids always liked that church have been involved with Jam since Chris was very young. He still helps with it and now Austin has been in it last couple years. Wow, it's alot farther along that I thought it would be. Brian Donaldson has been asking Randy & I to come back and visit ever since Christmas.